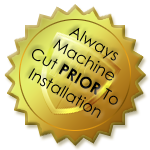 Professional and Flawless Installations every time. 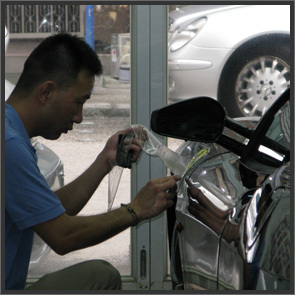 There are three main tenets of delivering a flawless result when it comes to Paint protection film. The first is the raw material, the second is the Kit Design and the third and most important, the skills of the operatives installing the product. We only use raw materials that will meet our exacting standards and indeed our exhaustive warranty criteria on our default installations. Should you have a favoured raw material we will of course do what we can to accommodate your requirements. However, we naturally reserve our right to adjust our warranty where non “house” products are requested. On the design front, given we are Europe’s largest independent design house for pre-cut Paint Protection Film, you can be completely confident that you will have both the most functional and aesthetic designs available anywhere. Indeed our designs are much sought after in the industry and are downloaded on a global basis by installers through third party delivery systems. Needless to say we have to deliver the very best designs, to ensure any trained installer can install them with greatest ease and to ensure that there is never a need to resort to “knifing the paint”. Contrary to much mythology, the components we install are not “laser cut” (non are), they are produced on the very best graphic plotter cutters money can buy. Our ethos on installation is that no car ever leaves our care that we would not be proud to drive ourselves. One could even describe our standards as “bordering on obsessive", as we are so fastidious in what we do. 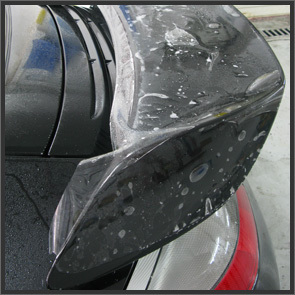 Whether it’s a completely covered Black Ferrari F430 or a bumper on a Ford Fiesta we firmly believe our clients have the right to expect only the very best from our installers. In six years of operation and with many thousands of satisfied clients, we consistently deliver peace of mind and the highest quality achievable anywhere in the world. Prior to the Installation Process we will, at our facilities, fully prepare your car for installation, cleaning off any transit detritus that may have been acquired en-route. If however, as with some of our clients you prefer to wash the car yourself when you arrive we will not be in any way offended. We fully understand that our clients come to us because they care about their cars and have the very highest standards. And sometimes when it comes to their pride and joy, only their loving touch is sufficient. The process involves the use of Iso Propyl alcohol (diluted in water) to fix the kit in place. As a slip solution, which is used for positioning of the film, we use the mildest product we can find which will be either Johnson's Baby Shampoo (seriously) diluted with water, a specially designed installation Gel which has it roots in the medical profession. 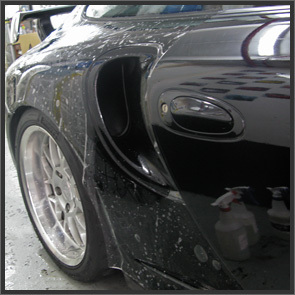 In essence we pamper your car in ways that even the owner would not usually do. 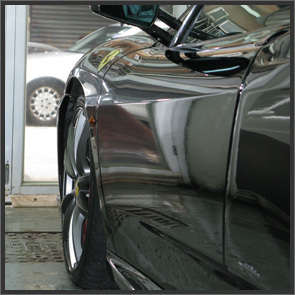 Should you wish to have your cars detailed and paint corrected before installation we can make space available for your favoured detailer to work on our premises or, if you require, we can call in several of the very best detailers in the country for you to have the work done to the very highest standards prior to install. During installation we will, if required and where possible, wrap available edges to maximise protection and provide the best aesthetic result; we will not however take your vehicle apart to facilitate this. That being said should you wish to take this concept further and wish to disassemble (or have disassembled) components’ of your car to go that extra mile, then we are happy to make space available to facilitate this (as well as spare fixings and clips in case of that irritating problem). We guarantee that our installation skills will not be bettered anywhere and that your satisfaction is our paramount concern.